Roberto Velasco Alvarez is the spokesman of the Mexican Secretariat of Foreign Affairs. Mexico is adopting a new migratory framework in line with the solidarity that has always characterized our foreign policy. Our new policies rely on a comprehensive vision to understand migration and all its repercussions from their root causes. We believe trying to halt the flow of migrants without addressing the factors that force people to flee their countries is insufficient. As President Andrés Manuel López Obrador stated in a letter to President Trump, a plan to boost development in Guatemala, El Salvador and Honduras that creates employment and, as a consequence, lowers crime rates, represents a better and more effective alternative than merely focusing in stemming the outflow of immigrants. The ongoing initiative between Guatemala, El Salvador, Honduras and Mexico is designed to raise investment, enhance governance, reduce violence and foster economic growth. Our governments must properly implement several complex policies to meet this ambitious set of goals. The technical expertise and financial support of the United States represent a significant advantage toward the success of those policies, and should be commended. Our administration’s new migratory plan is a far-reaching shift from that of our predecessors. Mexico is the first country to adjust its migratory policy as recommended by the new United Nations Global Compact for Migration. In accordance with this international agreement adopted by more than 160 countries, Mexico’s position will no longer be one of migration deterrence and blockage. 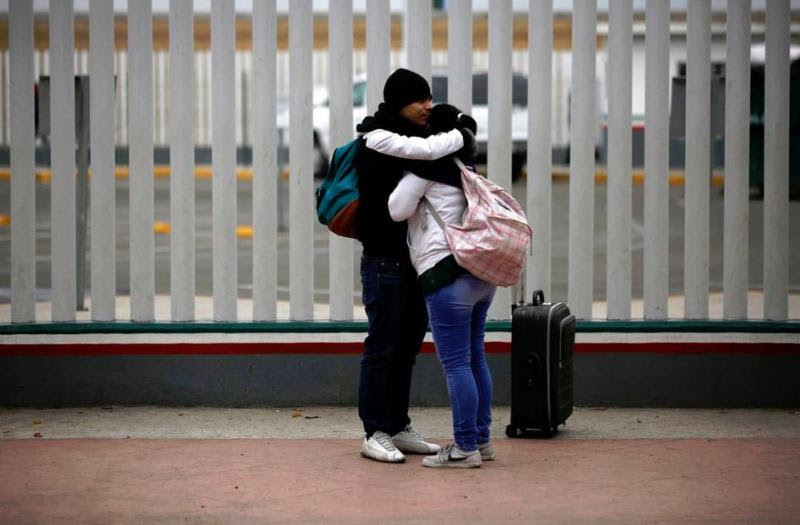 Mexico’s National Migration Institute has provided visiting registrations for humanitarian reasons to migrants that otherwise would have entered the country irregularly. In light of our regional responsibilities and commitment to human rights, migrants will be able to work and, as a consequence, will benefit from access to health care, education and other social programs. But our new migratory blueprint is at odds in some respects with the announcement by U.S. authorities that some migrants looking for asylum who entered through our shared border could be returned to Mexico to wait for their proceedings. In accordance to our new migratory policy, one that puts human rights at its core, Mexico will temporarily welcome some migrants seeking asylum in the United States. But in the interest of protecting vulnerable migrants, unaccompanied children and those in poor health conditions will not be accepted into our territory from the United States. With this, Mexico reaffirms its adherence to the paramount principle of non-refoulement. As stated by international law, no government should return an asylum seeker to territories where his or her life would be threatened on account of race, religion, nationality or membership of a particular social group. Therefore, Mexico expects that asylum seekers with a credible fear of such threats will not be sent to our country. The operational complexity of receiving asylum seekers from the United States opens the door to new potential drawbacks. Mexico will keep raising these concerns to the United States, to adequately manage the situation while guaranteeing the orderly functioning of our border. There are several technical-level questions — the specific ports of entry where this measure would apply, the timeline of the process, among others — that our two governments need to address to guarantee an adequate implementation of this unilateral policy. In the future, Mexico will continue investing in development policies to reduce violence and poverty in our country and Central America, so that migration will no longer be a necessity but an option. In this regard, the potential cooperation with the European Union, Canada and Japan to bolster our Comprehensive Development Plan is a sign of our willingness to expand alliances for development on a global scale. Mexico will continue to emphasize the protection of human rights in our new migratory policy. Our new comprehensive stance entails not only the defense of rights but the expansion of opportunity. That is the road Mexico will follow in the years to come.